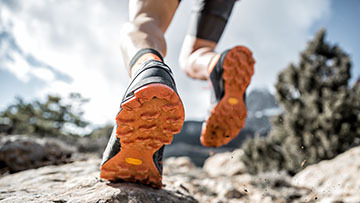 The brand new Dynafit Feline Up Pro Running Shoe got tested by blogger auffi muas i. Find out what Harald had to say about our pro model here. 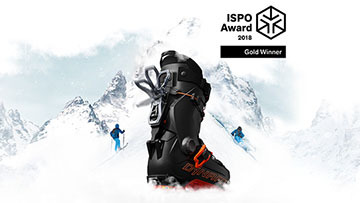 The Hoji Pro Tour is a revolutionary boot for ski touring with the patented Hoji-Lock System. 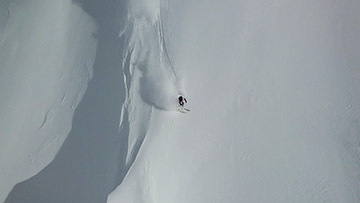 Freeride pro Nikolai Schirmer has tested the boot. 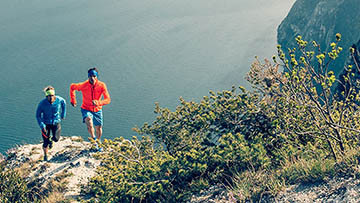 If you are active in the mountains at higher intensities, you will sweat. Indeed, sweat can become a burden. We asked around in our Dynafit circles about shoe odor and found three people who know a bit about it. 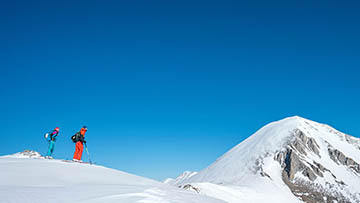 Vertical running is all about taking a direct line up the mountain as quickly as possible. What do you need to do that? 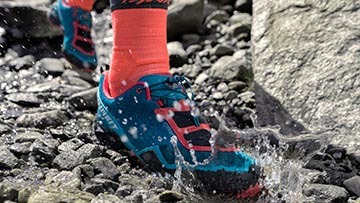 Especially lightweight gear that will ideally support you like the Feline Up Pro Shoe. 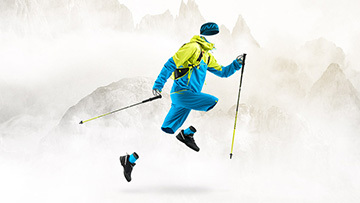 Speed Mountaineering, the fast, new version of alpinism, is a clear trend in the outdoor industry. 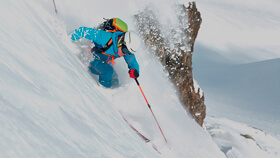 This is precisely where Dynafit is aiming with its new collection. 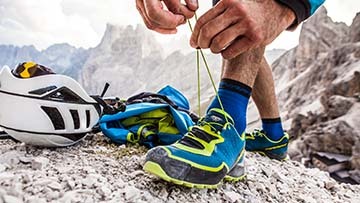 This flagship Speed MTN is thus the appropriate shoe. Once the last ski tour is done your beloved skis including bindings must be prepared to “oversummer.” But what is it you have to pay attention to? What does lightweight mean to you? 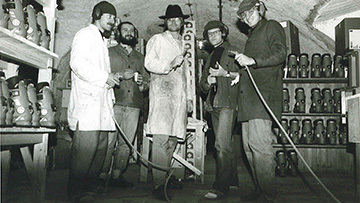 Is it a feeling of easy lightheartedness or of just less weight? What does lightness mean to our athletes? 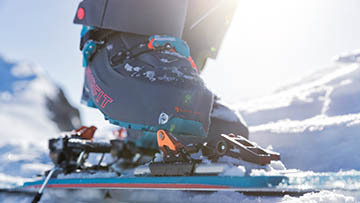 49 grams - the revolutionary Dynafit Pintech Race binding weighs less than a smartphone . 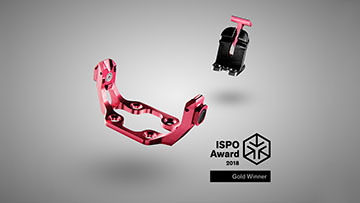 The innovative binding system is the result of a complex improvement proccess of frameless pin bindings. Find out how the Pintech Binding P49 works in detail. 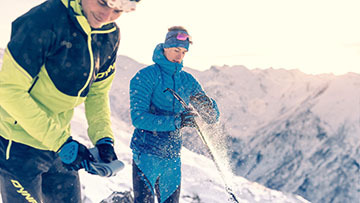 Microplastics: Mountain endurance sports and responsibility. We take very seriously building a bridge between fabrics used for best possible performance during use and environmental consciousness! 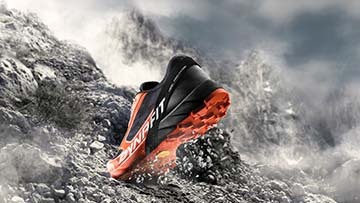 Affected by minimalism and driven by enthusiasm marks the unique way of inventor Fritz Barthel to the revolutionary binding system of DYNAFIT. 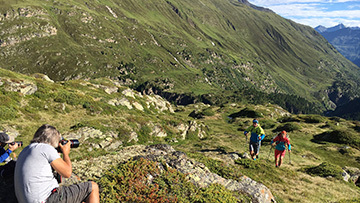 Green slopes, spectacular waterfalls, a view of the glacier, amazing impressive mountains and fantastic trails – a beautiful backdrop for our photo shoot for the new 2018 Summer Collection.